Beautiful soft hand dyed pink. Sparse with a wavy pile which gives an irregular distressed look. 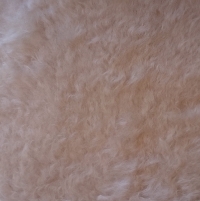 Long sparse mohair with a 4cm wavy pile.